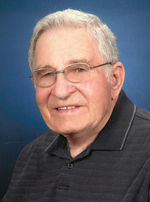 John T. Niemann passed away at his home in the care of his family on April 8, 2019 at the age of 88. John was born in Brooklyn, New York on July 9, 1930 to John J. and Angeline Sidote-Niemann. He attended schools in New York and New Jersey graduating from Lakewood High School in Lakewood, New Jersey in 1948. John was a member of the 23rd Infantry Regiment, 1944/1945, 106th Infantry Regiment, 1946 and 143rd Transport Truck Company, 1947. All part of the National Guard. After high school graduation in 1948 he joined the U.S. Navy. While in the Navy he became an aviation electronics technician attaining the rank of First-Class Petty Officer, (EG), and was honorably discharged in 1953. During his time in the Navy, John earned his wings and was a trained to fly various types of planes. He was proud to have served our country during World War II. His love of aviation let him to get his pilot’s license. He joined a flying club, racking up many flying hours. When he wasn’t flying planes, John was spending time on his Harley, which he also often spoke of. John did a lot of traveling in his working days. It is during these travels that he came to the Las Cruces area in 1973-1974. He moved his family here in 1975 and worked as a field engineer until his retirement in 1994. In January 1954 he married Lorraine Dilts-Gibson. He opened his heart to his new step-son, Ralph Gibson-Niemann and step-daughter Julie Gibson-Niemann whom he raised as his own. Together John and Lorraine had a son John L. Niemann (Sue) in 1954 and added a daughter Lorraine Helen Niemann in 1962. John has four grandchildren and five great grandchildren from this marriage. Sadly, Lorraine passed away in October 1993. John joined a survivor support group, where he met his second wife Lupe N. Camacho. John and Lupe were married in June of 1994. He again opened his heart and welcomed her three children Albert Camacho Jr. (Teri), Yolanda Medina (Rick) and Luisa Solorzano (George), ten grandchildren and six great grandchildren. John was a member of Immaculate Heart of Mary Church and sang at the 7:30 am choir on Sundays and the 5:30 pm choir on Saturdays from 1995-2016. In addition to Lorraine, John was preceded in death by his parents, sister Emilie Banslaben, brother in law Al Banslaben, half-sister Joan Thompson and step daughter Julie. Services will begin with visitations at 9:30 am, Tuesday, April 16, 2019 at Immaculate Heart of Mary. Rosary will follow at 10:00 am and mass at 10:30 am. Burial will be at Hillcrest where he will be laid to rest immediately following the church service. Serving as Pall Bearers are is grandsons: Armando and Andres Camacho, Rafael, Tomas and Michael Medina, and Joseluis, George and Steve Solorzano and Chris Niemann. Honorary pall bearers are his grand-daughters, Alberta Medina; Alicia and Audrey Solorzano, and Kimberly Niemann and Stacy. The family would like to thank Amber/Hospice for their support and love during John’s final months. Your help is truly appreciated. To send flowers to the family of John Thomas Niemann, please visit our Heartfelt Sympathies Store.